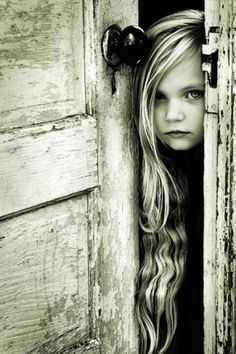 …her hand slowly reached out and she turned the door knob..not sure of what she would find or if anyone would be there. It was so long since she had been to this place. She missed her friends but life as a way sometimes of just putting you into isolation. You focus on what you need to do to survive and move on. No time time for chit chat or carrying on. The room was dark and dusty…it was quiet….where were her finds..so was sure they must still be here somewhere. She hopped they would still be here. She thought of them often, Paula, Pink, Jenny, Paula Renee. She walked cautiously around hoping to find her friends still there. Hello everyone life does have a way of taking over sometimes. I have missed all of my wordpress family and I certainly hope you are all still out there. I have been in school at the local college studying yoga, music, and taking photoshop courses. I have also spent the past year learning to do Reiki. I will be doing a workshop and I will do a separate post about that. I have also been working on my book, The Disillusionist,. It is quite a different beast to write a book than to do a blog. To all those writers out there that have managed to do both I applaud you. It is quite a daunting task. Missy has had 2 cancer surgeries, first one they removed 4 lumps ( 3 cancerous 1 fatty) second surgery they removed 3. I said no to chemo and have her on all kinds of herbal and homeopathic products. She seems to be doing okay–so far have not seen any other lumps on her. I finally have found some good young people to work as performers–fingers crossed they all work out. School starts again at the end of august. I will be taking a graphic design class, photography, hata yoga, and commercial music theory. I am working towards what I want in life vs trying to walk away from something I don’t want. It’s a more positive spin on things. That’s it for now–hopefully will have more revelant posts soon. Yah!! I’m still here! I Can’t wait for your book to be published. I can’t wait to pull together money to visit you again! And I certainly can’t wait for our co-hosted retreat! I love you, Ivonne. love you too life is nuts sometimes……..
Wow, a book? That’s fantastic news Ivonne. My girlfriend is right into yoga and Reiki. I became a massage therapist early this year and are loving it. So different from project managing renovating homes!! Lol A complete change for me. I love working from home and are doing something that brings me peace and comfort…not just the client! Yes indeed it did and here I am. I miss my friends. Yes a book about the experience with the narcissists and some other relationships and more in depth into narcissism in general. And at which point those posts come down off of the blog except for one or two. Missy is doing well. I have her on so many herbal remedies. Working on keeping her from getting more cancer and just being an old dog. Glad things are going well for you. Love to Missy. Re: the book–You go Girl!